Cranberries health benefits are amazing! This berry super food used to only get talked about at Thanksgiving. Everyone had to have cranberry sauce to go with the turkey and cranberries were strung with popcorn to decorate the tree at Christmas too. Today, however, the health benefits of cranberries are on the news, online and in magazines. Cranberry juice is also highly recommended as part of the group of foods that detox the body. Now cranberries are available as the cranberry juice we all grew up with, as craisins (dried cranberries), as extracts in cranberry pills for supplements and health boosting detox products. The most commonly known cranberries health benefit is on the urinary tract. Chemicals in cranberries keep the harmful bacteria from adhering to the cells in the bladder. This is known as bacterial anti-adhesion activity and helps prevent urinary infections. Studies have shown that the effects can last up to 10 hours after drinking cranberry juice. Cranberries also acidify the urine. They also change the shape of E. coli bacteria, one of the major causes of urinary infections, so they cannot adhere to the walls of the bladder. Cranberries have chemical compounds that cleanse the urinary tract like hippuric acid and proanthycyanins. Cranberries contain a certain tannin that is thought to be able to suppress the abilities of bacteria like E. coli from adhering to internal body surfaces like teeth, gums, the walls of the bladder, etc. High concentrations of cranberry have been shown to be effective even against strains that are resistant to pharmaceutical antibiotics. Commercial cranberry juice has been shown to be effective at eradicating some viruses as well. While orange and grapefruit juice also neutralized these viruses, cranberry was faster and more effective. Another of cranberries health benefits is that it is effective against the herpes simplex virus. Similar to how it affects E. coli, cranberries hinder the herpes virus from taking hold as well. Cranberries contain an acidic compound called quinic acid. This compound is not broken down by the body, but excreted unchanged. This acidifies the urine enough to prevent calcium from forming stones. 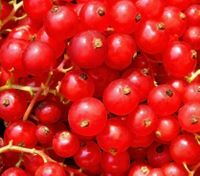 For those who suffer from recurrent stone formation, cranberry juice is a helpful supplement and in some cases remedy. Cranberries health benefits extend to helping with cholesterol levels. While it didn't lower LDL (bad cholesterol) levels, it did increase the HDL (good cholesterol) levels. This was accomplished simply by drinking cranberry juice daily. This improvement was large enough to affect overall cholesterol levels in a beneficial way. As if all these other health benefits were not enough, cranberries can also help prevent heart attacks by improving the functioning of blood vessels. The effects of cranberry juice can be seen in patients already suffering from atherosclerosis. This amazing ability can improve the health of those who have already developed this type of heart disease, and can prevent it from causing a heart attack. The cranberry contains more phenols than most other commonly eaten fruit. These phenols are powerful antioxidants, and can help prevent many disease-causing situations, including Alzheimer's. Cranberries are ranked near the top of the list of juices to consume to get these all-important antioxidants. Rotating cranberry juice with pomegranate, apple, orange and grapefruit juice every week assures that you'll get a dose of many different phenols on a consistent basis. These same antioxidant features that the cranberry contains may also be an effective way to help prevent some cancers. Studies have shown that cranberries may be an effective tool in preventing liver, lung, prostate, cervical and breast cancers, as well as leukemia. These studies have shown that while the cranberry compounds affected the cancerous cells, it did not affect any of the healthy cells. The antioxidant activity of cranberries knows no bounds… the antioxidants found in cranberries and some other fruits are effective at preventing macular degeneration, an affliction of the eyes that affect many people as they age. By consuming a serving of cranberries and adding another couple pieces of fruit every day, you can make a lot of headway towards saving your sight. Cranberries health benefit are numerous and should definitely be part of your detox diet. This marvelous little berry can not only add a tasty component to your day, but help protect you from many diseases and disorders.